These days, you see the same furniture everywhere, from big box stores to your neighbors’ living rooms. From sofas and armchairs to bedroom sets and side tables, as well as home decor accents and accessories, you’ll find everything you need for a perfectly designed space in our showroom. At Chez-Del Home Furnishings & Interior Design, our pieces are unique, special – and you won’t find them anywhere else. Our design experts shop around to find the best pieces out there for your unique style. We hand select our furniture from the best, highest quality manufacturers. Chez-Del is all about style, a passion for furnishings and great design, and fashion-forward style. We choose pieces to suit a wide range of styles from modern to classic, uptown loft to cottage-chic. Our eclectic mix of furnishings offers a variety of colors, styles, and textures to make any home feel special. In our showroom, what you see is what we have – there’s no warehouse with dozens of the same piece. When you choose your furniture from Chez-Del, you know it’s uniquely yours. Want two of something, or wish you could change the fabric? We can special order just about anything, direct from the manufacturers to your exact specifications to customize your furniture and your home. Let the design experts at Chez-Del inspire your home decor. Visit our fashion-forward showroom to see for yourself what Chez-Del has to offer! Chez-del also offers professional commercial office furnishing and interior design, click here for more information! 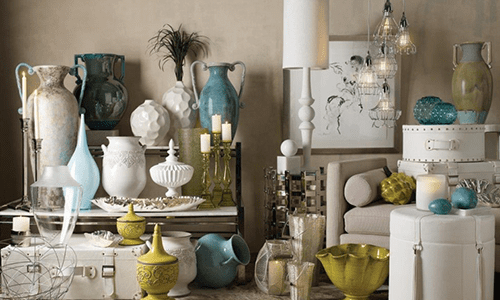 At Chez-Del Home Interiors, we carry a wide selection of beautiful and exceptional home decor items. 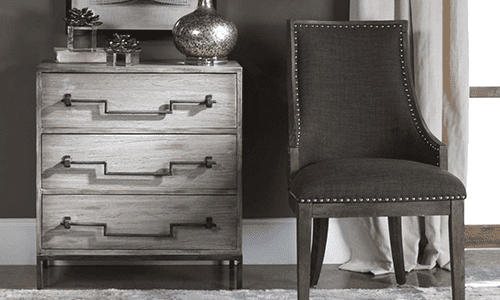 Add a special touch to any room of your home for a custom, perfectly personalized look. 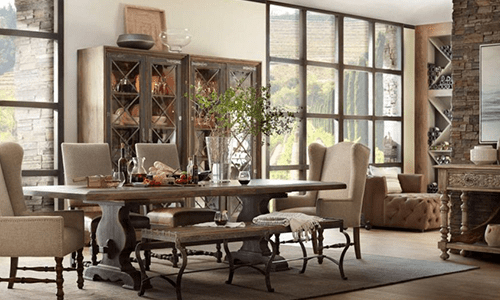 Bring new life to your dining area with new furniture. Our carefully selected pieces are perfect for any dining area and any interior design style. Your bedroom should be a place of rest, relaxation, and beauty. 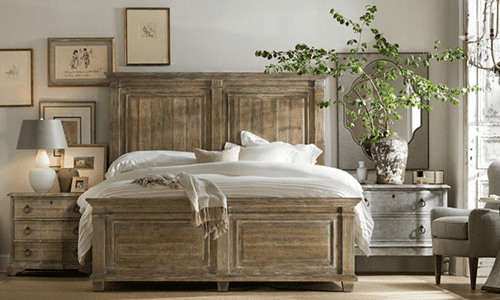 At Chez-Del Home Furnishings & Interior Design, we believe your bed is the centerpiece of any bedroom; it should be just right! 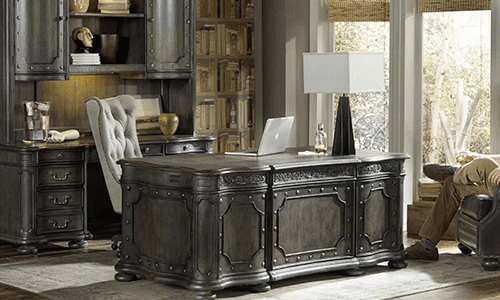 Make your home work for you with perfect pieces suited for your home office and entertainment rooms. We know how important it is for your home furnishings to be functional for your working and living needs. The rug gallery at Chez-Del Home Furnishings & Interior Design offers up every style, color, and pattern you could imagine. Flip through our display to find just the right accent for any room in your home, whether your style is shabby-chic or formal and traditional. Bring the whole room together with the perfect accent piece, whether it’s a side table between chairs or a chest for extra storage. 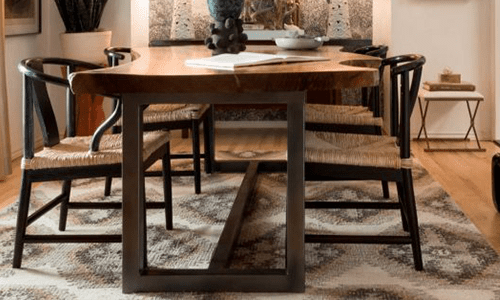 Chez-Del Interiors has a wide array of tables, chests, and more to bring a little intrigue to any room. The right sofa makes the living room. 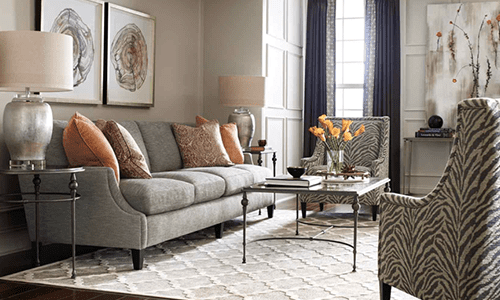 Find the perfect couch or chairs for your living room, den, lower level, or any other room. At Chez-Del, we believe that comfort is key - not just style. Your home decor style shouldn’t stop at the threshold. 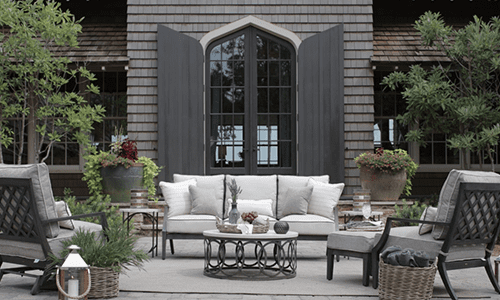 Bring your inside style out with beautiful, modern patio sets and poolside furnishings from Chez-Del! 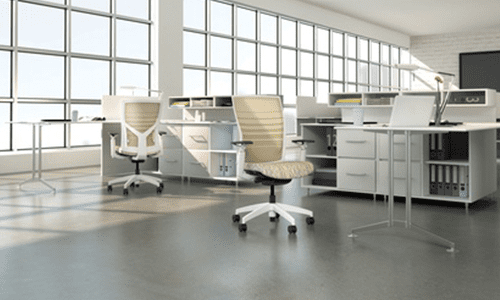 At Chez-Del Office Furnishings and Interior Design, we’re much more than a desk and chair supplier. In our commercial design service, we go above and beyond to provide a complete interior design from top to bottom.